When will be Olly Smith: Ale Trails next episode air date? 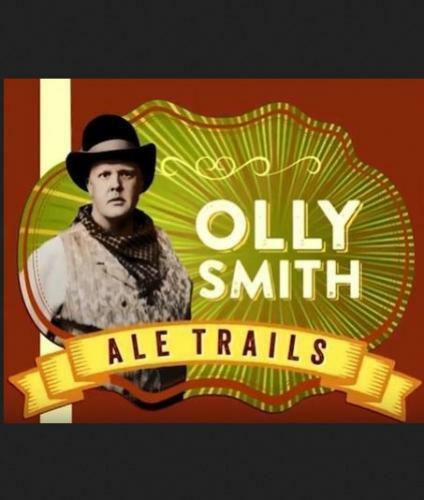 Is Olly Smith: Ale Trails renewed or cancelled? Where to countdown Olly Smith: Ale Trails air dates? Is Olly Smith: Ale Trails worth watching? Olly Smith is on a brand new and exclusive adventure for Travel Channel, touring 5 States across the USA in search of some of the best craft beer. It's a scene that's on the rise, with microbreweries at an all time high. In the series Olly explores hops in Oregon and follows the historic story of Nevada's miners and their obsession with beer. His journey also sees him revisit settlers in the 1800's who forever changed Illinois' beer scene, and South Carolina, where a beer can be made from anything! Full of amazing stories, fascinating history, brilliant characters and sensational brews - Olly Smith: Ale Trail is an encyclopedia of beer that's got something for everyone! Oregon is regarded by beer connoisseurs as a must-visit state when it comes to US craft beers. It even has a state university dedicated to hops. Olly Smith jumps in his mustang and joins in the hop picking in the Willamette Valley. While visiting Atlanta, Athens and Savannah, Olly Smith discovers Georgia's passion for craft ales. He is joined by Ale Sharpton, a brewer and rapper who tells his own story of how becoming a master brewer changed his life. Olly Smith: Ale Trails next episode air date provides TVMaze for you. EpisoDate.com is your TV show guide to Countdown Olly Smith: Ale Trails Episode Air Dates and to stay in touch with Olly Smith: Ale Trails next episode Air Date and your others favorite TV Shows. Add the shows you like to a "Watchlist" and let the site take it from there.